Carlisle/Uk based band ? I don't know. 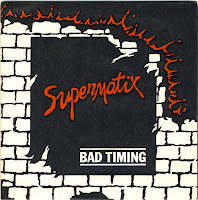 This was released on the Matchbox classic reord label (who bring us The Lims,No support). I haven't found informations about this record.